Are you looking for help marketing your painting company in Ontario? In a competitive field like painting, it can be hard to get noticed and found in the digital world. This is what makes having an expertly crafted and targeted digital marketing campaign necessary. 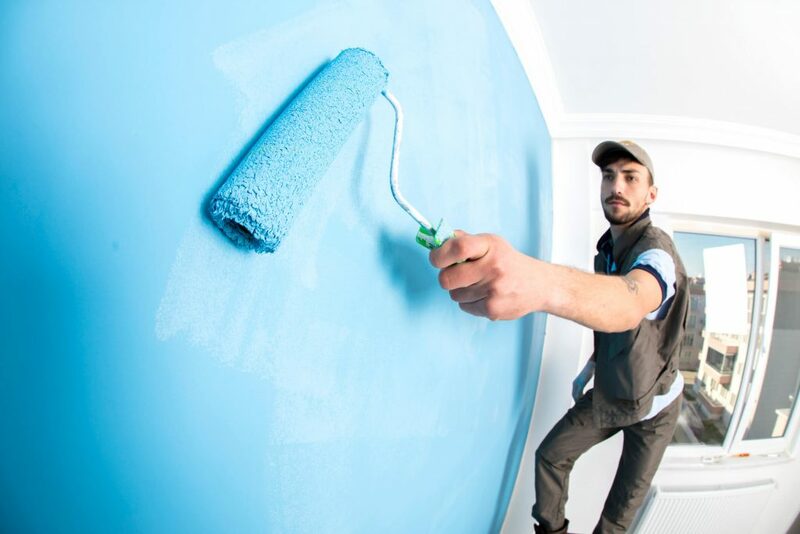 At Intrigue, our team has a thorough understanding of how to market to homeowners and businesses, and we have ample experience in producing results for painting companies. New Approach Painting is a professional painting company based out of Kitchener, Ontario. They provide professional commercial and residential painting in the Tri-Cities, Guelph, and the surrounding area. They have a permanent team of professional painters. This means no seasonal workers, higher quality results, and increased accountability. They research and test all their products. This ensures that when New Approach Painting vouches for a product, they have the first-hand experience to give expert recommendations. Intrigue began helping New Approach Painting with their digital marketing in 2017. Since then, New Approach Painting has seen their sales increase 50%. In the last year, New Approach Painting has seen terrific growth on their website with total users up 219% and a huge rise in traffic during targeted ad campaigns. Overall, total thank you page views rose from 38 to 91 (up 139%) from their last campaign to their current campaign. Thank you page views are an important variable in measuring success in a digital marketing campaign. When a lead sees a thank you page, it means they completed a form or fulfilled a call to action. This information tells us that more visitors are converting to leads for New Approach Painting than ever before. New Approach Painting’s blogging strategy has led to hundreds of page views and has increased their authority as a local painting expert. 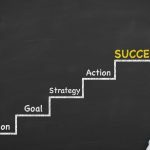 Our blog strategy focused on answering the many questions customers have about how to paint, stain, and wallpaper their house. Each article incorporated a call to action (CTA) that encouraged the reader to contact New Approach Painting for expert services. 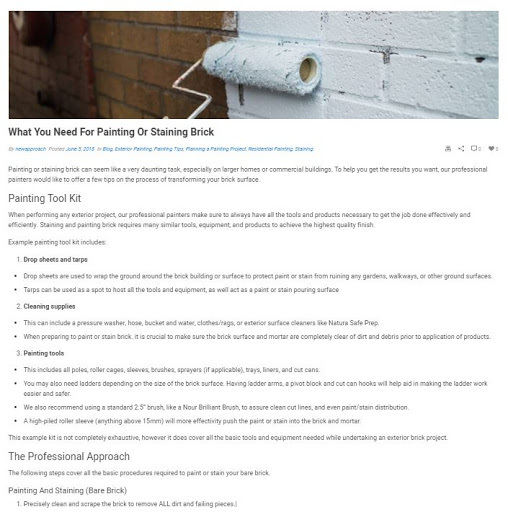 Intrigue developed an email marketing strategy for New Approach Painting that included sending three email newsletters per year that highlighted their blog posts, provided high-value painting tips, and encouraged readers to leave a Google Review. 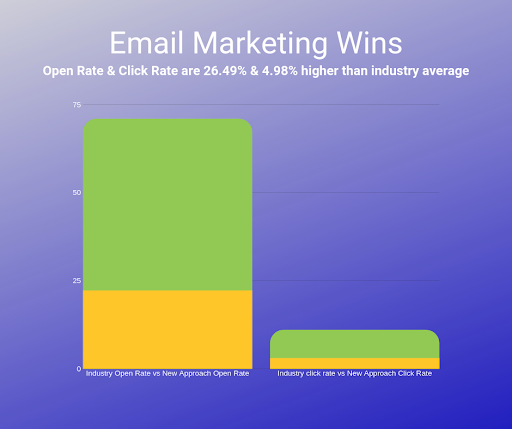 The email newsletters resulted in an open rate of 48.7% and a click rate of 8%, which greatly exceed their industry standards of 22.2% and 3.02% respectively. 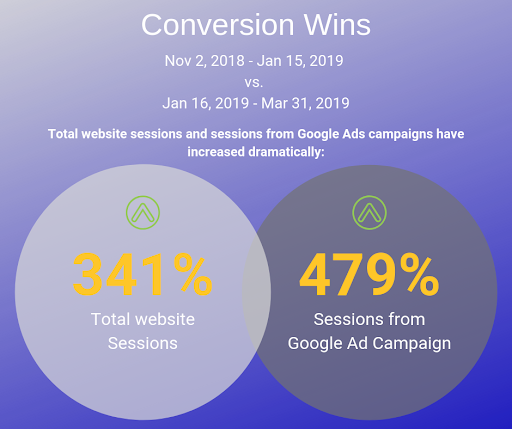 Intrigue ran a Google Ad campaign that increased ad sessions by 479% and total website sessions by 341%. This dramatic jump in traffic led to a significant boost in conversions and thank you pageview conversions increased from 23 to 56 (up 144%). 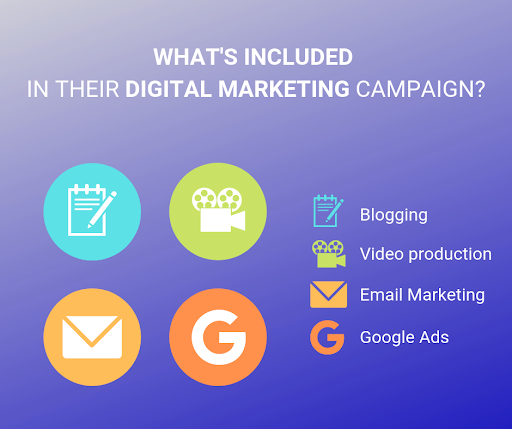 31 of those conversions came directly from the Google Ads campaign, proving that with the right keywords, design, and copywriting, ads can turn into highly-qualified leads. An overview of website traffic over the past 16-months shows a steady incline with a steep spike in the first few months of 2019. Organic search traffic, thanks in part to the SEO strategy Intrigue implemented, led to over 700 website visits from various search engines. In March 2019, a record amount of people — 813 — visited their website. Intrigue’s integrated marketing campaign resulted in New Approach Painting sales to increase by 50% with a cost per lead of $106. The digital makeup of New Approach Painting now matches the professionalism of the team they’ve assembled and the work they produce. Are you interested in boosting your painting company’s digital marketing success and generating qualified leads? Let’s take the stress out of your marketing. Contact the team at Intrigue today. Andrew is a content marketer at Intrigue. A writer turned journalist turned marketer, Andrew is most fulfilled when he has the chance to share stories and ideas through words. Outside of work, you will find Andrew in the gym, hitting the heavy bag, or riding his bike to local events. If you need something from Andrew, bribe him with a cigar.